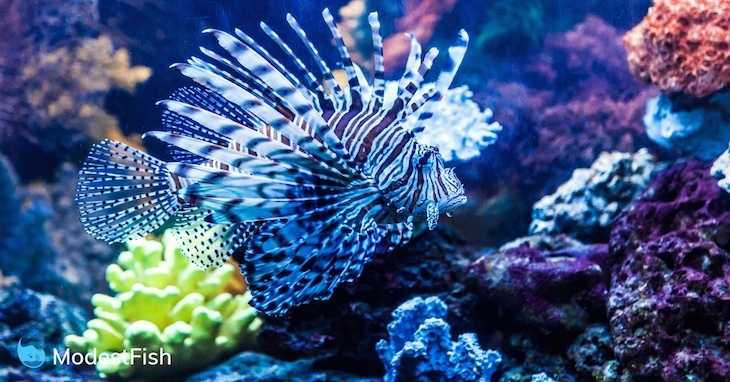 Water movement is critical to running a successful reef aquarium. Your corals, fish and other reef invertebrates depend on water currents in order to thrive and live a healthy life. Which is why looking into setting up a wave maker to control the flow in your aquarium is sufficient is an area you can’t ignore. 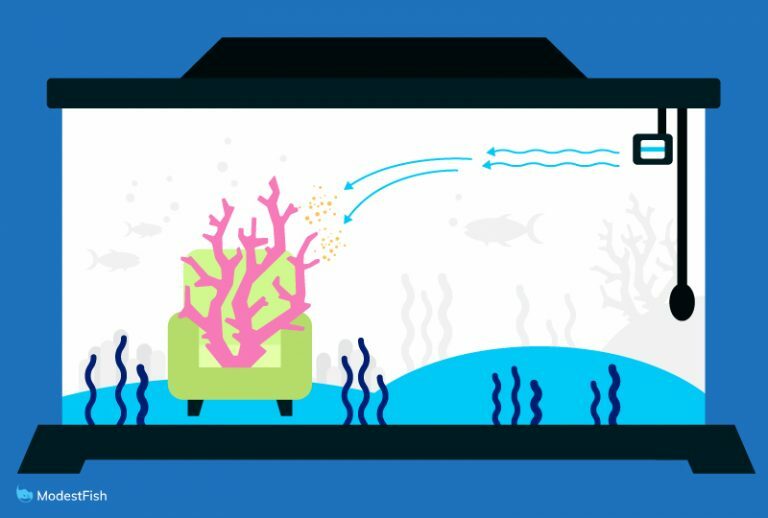 Used to help simulate the natural currents of the ocean, wave makers will give you greater control over your marine ecosystem, making it easier to maintain a successful reef tank. In this article, we’ll discuss how you can effectively choose the best wave maker for your setup, and then, at the end, I’ll share individual product reviews with you so you can find what you need. Part 2: A wave maker or powerhead? What’s the difference? Wave makers allow you to provide sufficient water movement. And it’s the benefits of water movement you want in your reef environment. Have you ever been stuck in a hot, stuffy room and a breeze of cool fresh air whips into the room? Feels great, right? That’s how water movement feels to your aquatic buddies. Water movement supplements gas exchange by moving dissolved gases around you tank, stopping them from settling in one area (known as “dead spots”). Take carbon dioxide as an example. It’s by-product in your tank, and gases like nitrogen, methane, and sulfur are produced as bacteria consumes these by-products. Wave makers provide water movement, transporting these unwanted gases into your main water column–releasing them from your tanks environment. When you have water movement, more water comes into contact with the surface where gas exchange takes place. This means oxygen-poor water near the bottom of your aquarium is pulled to the surface where the oxygen levels are improved. 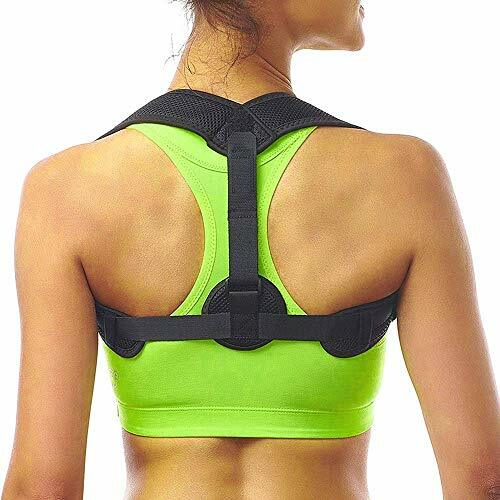 You reduce harmful gases and improve oxygen levels. Wave makers will circulate your tanks water–transporting more waste materials to your filter. Moving water will stop waste materials like poop or left over food from settling into hard to reach areas where they might rot and release ammonia. And if you own a reef tank, it’s likely your corals and other sessile organisms will rely on water movement in order to wash away waste materials. Without it, you may experience a build up of toxins, mucus, and other organic chemicals that will decrease your aquariums water quality. Even if you have the most advanced filtration system, you’ll improve the efficiency will a good wave maker. You own an enclosed ecosystem. And like most aquarists, your home aquarium doesn’t always have enough room to encourage active swimming. Which is where a wave maker can really help. Increasing your water movement will give your aquatic pets a workout. They’ll be able to swim against or through moving water, encouraging better growth and muscle development. 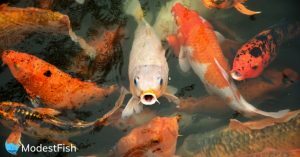 This physical activity can further improve your fishes health by aiding their digestion and metabolism. 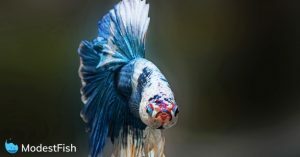 If you own tropical fish, which have evolved for life in fast-moving water, recreating their natural water movement can encourage them to display natural behaviors and improve their coloration. Good water movement will maintain an even temperature throughout your aquarium. Without it, you’ll experience zones similar to “dead spots”. Except, instead of organic debri, you’ll have warm and cold areas on your tank. Circulating your tank’s water will prevent this by distributing heat to all areas of your aquarium. I’m sorry to tell you, but your corals are lazy–couch potatoes, in fact. They don’t like to move a lot, which means they depend on water movement in your aquarium to bring them their meals. A Wave Maker or Powerhead? What’s the Difference? When building your reef tank, you’ve probably come across the terms submersible pump, powerheads, and wave makers when looking into water movement. It can get confusing. So before we get into how you can choose one, it’s best you have a clear understanding on what is it. Wave makers are specialized water pumps. Combining low-pressure/high-volume water pumps with digital controls so you can regulate your pump’s flow. It’s essential a controllable system of powerheads/submersible pumps, allowing you to achieve a more natural ocean environment. You see, unlike rivers, ocean reefs have turbulent water conditions. Where powerheads provide a consistent narrow stream of water movement (ideal for freshwater tanks), wave makers have been developed to meet the needs of reef environments by imitating the change of ocean currents. Your wave maker works as an electrical timing device: controlling multiple powerheads, turning them on and off at predetermined times. Controlling powerheads in different locations, you’re able to mimic the natural currents in a wild reef environment. Some wave makers allow you to mimic night and day time currents, as well as the length of time each powerhead runs so you can simulate different wave actions in your aquarium. 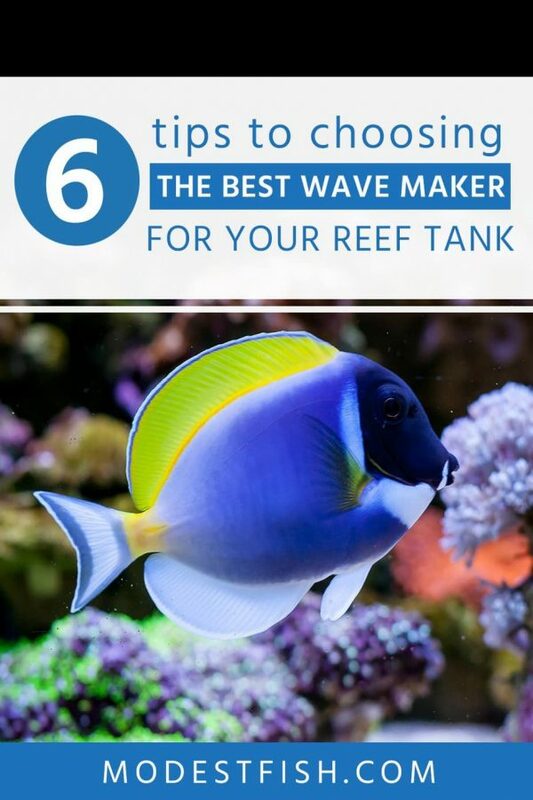 Water flow is critical in reef tanks, so let’s look at how you can effectively choose a wave maker for your current setup. 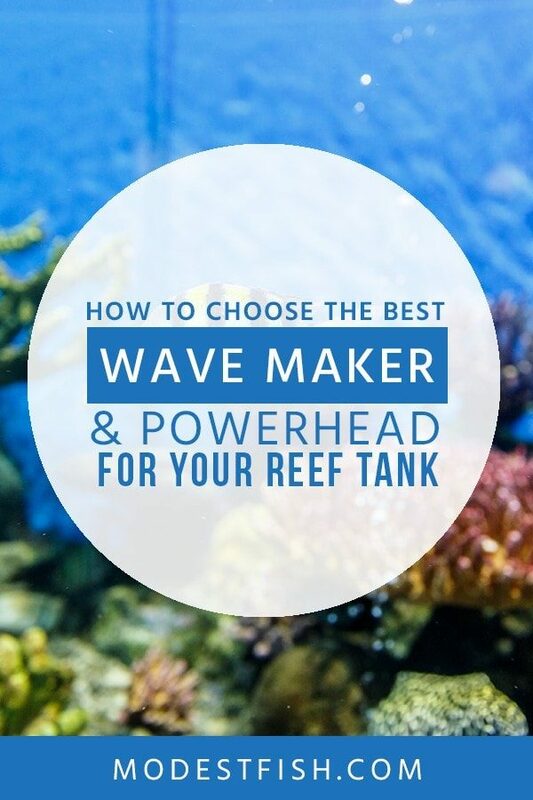 Now you have a clearer understanding on the benefits and the difference between wave makers and powerheads, I want to discuss how you can effectively choose one for your reef tank. How Big is Your Tank and What’s Inside? This is the first thing you need to consider. When looking at the size of the powerheads in a wave maker system, you must take into consideration the size of your tank and the type of corals you keep (or plan to keep). If you want to keep Soft Corals and LPS, you should aim to achieve a total tank turnover of 10-20 times per hour. Measured in GPH (gallons per hour), total tank turnover is how many times the water in your aquarium is circulated every hour. If you’re keeping SPS corals, you should aim for 20-40 times per hour. If you have a 30 gallon reef tank that’s predominantly LPS, you should aim to have an internal flow rate of 300-600 GPH. If It’s 30 gallons and SPS dominant, you’d need a flow rate of 600-1200 GPH. As soon as you know how much flow you need in your aquarium, you need to think about where you’ll place your pumps. You goal here is to have good water movement in every inch of your aquarium so you don’t experience “dead spots”. 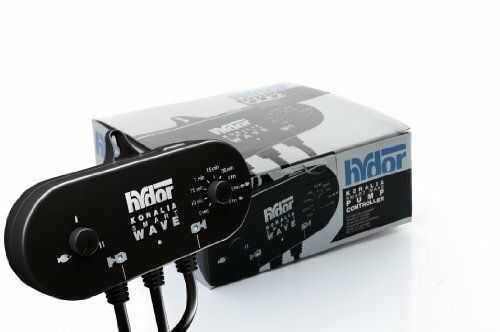 Depending on the shape of your aquarium and aquascape, it’s usually smart to purchase multiple smaller powerheads with your wave maker over a single large one. Using multiple smaller pumps, you’re able to position each one to maximise the water movement in your aquarium without kicking up a storm. It’ll also be easier for you to adjust your pumps to perfect flow or if it needs changing. And as your tank matures, your corals will grow and you’ll add new ones. So you’ll need to eventually redirect your water flow to accommodate any changes. Having multiple powerheads with your wave maker offers you more room for change and creativity. You might find your reef environment benefits from different types of powerheads. If you see you’re still having problem areas, you can simply add a smaller powerhead to target them. One of the biggest issues in the hobby is noise coming from all the equipment you need to use. It can become very annoying if you keep your aquarium in your room or communal areas. When you’re looking for wave makers and powerheads, be sure to check out previous reviews on how loud the product was. Different wave makers will have different mount styles and will fit different thickness of glass/acrylic. Be sure to check the thickness of your tank before purchasing your wave maker. You’ll also want to consider the style of mount. My pet peeve in this hobby is suction cups. I find they always lose suction quickly and become useless. I recommend looking for wave makers using magnet mounts. Getting the right flow in your aquarium can take a few attempts, so it’s always best to look for a wave maker you can easily adjust: not just the flow, but also placement in your tank. And you should check to see how many pumps can be synced up to the controller. The more pumps you can sync, the easier it will be for you to ensure you can sufficient flow throughout your ecosystem. Wave makers commonly come with two separate parts: the pump (powerhead) and controller. If you’re new, I recommend getting one with a pump included. However, you can purchase them separately. You’ll just need to make sure the controller is compatible with the pump. Now you have a much better understanding on wave makers and how to choose one, you can use the following product reviews to make an informed buying decision. Coming with the tag line, 'no water left unturned', the XF230 uses crossflow technology in order to create outstanding water movement. Ideal for Aquariums: 25 -100 gal. Released a few years ago, Maxspect revolutionized the hobby when they released the Gyre wave maker. And yes, it really does live up to its tag line “no water left unturned”. 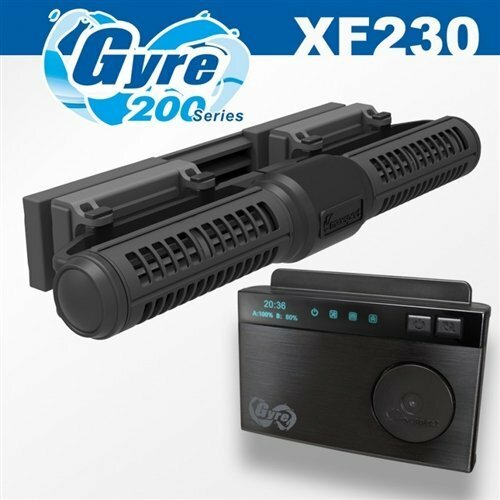 The XF230 is ideal if you own an aquarium under 100 gallons. If you have a larger reef tank, you’d need to go for it’s big brother: the XF250. Unlike traditional powerheads and wave makers, which are based on propeller nozzle flow technology, the Maxspect Gyre uses crossflow technology. It creates outstanding horizontal water movement–leaving no dead spots. And the advanced controller is a joy to behold. You’re able to sync two pumps to the one intuitive controller without having to connect them to a 3rd party controller. Far superior to the previous generation, you’ll be able to fully customize your flow with 20+ advanced features. Including flow cycles, water movements, and link-up methods. It’s true, this wave maker isn’t cheap, but, that’s because you’re getting one of the most advanced, energy efficient, and reliable wave makers available today. Highly reliable, the MP10QD is a wave maker you can count on for years to come. Ideal for Aquariums: 25 - 50 gal. Known for their quality and attention to details, Ecotech designed this product to be the gold standard in providing flow in your aquarium. If you’re looking to add a broad gentle flow to your marine tank, this one is unmatched. Featuring a patented 3 dimensional flow, it’s 90% quieter than the previous generation (according to Ecotech). You get 12 different flow modes which are easy to set and allows you to create a unique flow to suit your setup. It’s hard to find negatives, I guess you could say the price, but it’s justified. With its focus on user-friendly design and build-quality, you’ll get a wave maker you can rely on for years to come. 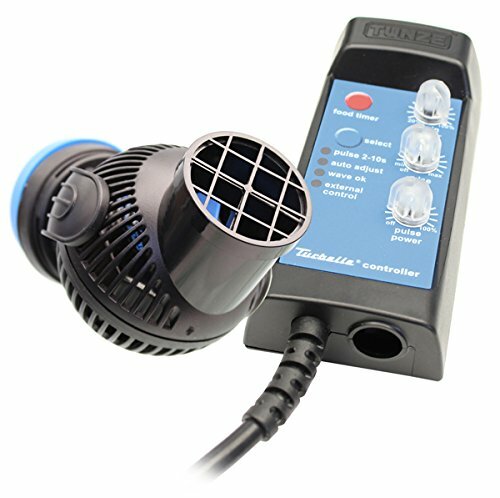 Ideal if you're new to the hobby and are seeking an affordable wave maker with high-end features and flow capabilities. Ideal for Aquariums: 25 - 100 gal. Licensed by Maxspect, IceCap’s wave maker system is capable of generating the same iconic Gyre water movement–without breaking your bank. Ideal if you’re new to the hobby or on a tight budget, the IceCap 3K produces up to 3000 GPH of linear flow, but lacks some of the more advanced features you get with the XF250. However, that’s not to say it doesn’t have any features. You get a clean LED display, where you can easily set-up and program the settings. Including 5 different water movement modes, a 10 minute feeding timer, and a 24hr programmable flow period to mimic natural tidal patterns. It’s not the most advanced, but, if you’re new to the hobby or looking to create some awesome Gyre movement without all the extras, you should definitely consider this one. The new 1K model has many of the great features of the larger models but with a smaller pump that is perfect for nano aquariums. Ideal for Aquariums: 20 - 50 gal. 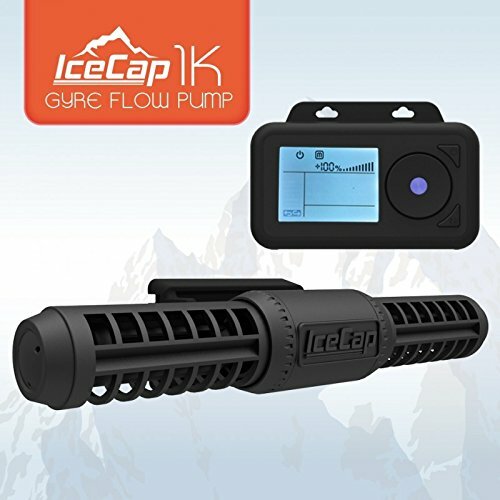 In 2018, IceCap have released the 1k for nano reef tanks! Until recently, the Gyre pumps from Maxspect and IceCap where too powerful for your small reef tank. Up till now all of the gyre pumps from Maxspect and IceCap were too powerful for small reef tanks. Like its predecessor the IceCap 3K Gyre, the 1K includes a controller (this time with a large LCD screen!) that makes setting up the water pump quick and easy. And you get the full 24-hour ramp up and down programming capabilities plus a 10-minute feeding mode for your corals. If you own a nano reef tank, this is one you can’t ignore. If you're new to the hobby and aren't the most techy person in the world, the Hydor Smart Wave is designed to make it as simple as possible. Sharp looking and has an excellent built-quality, the Smart Wave is designed to make it as simple as possible for you to control your water movement. If you’re new, and not looking for anything too high-tech, this might be the one for you. The kit doesn’t include any powerhead, but what you do get is a controller that provides you with the basics of water movement control. With simple on/off switches, you’re able to sync one or more pumps on two separate channels or run them alternatively. And you can then hook it up with an automatic feeder for up to two feeder per day by selecting feeding mode. 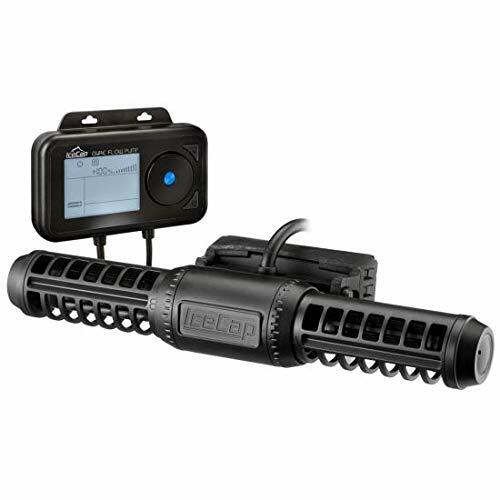 It’s easy to install, and the water resistant body provides you with more options with where to mount it. Like I said, there’s nothing particularly eye-catching with this controller. What it does, it does well, and at a very reasonable price. But if your budget allows it, I would go for a different option. Ideal for Aquariums: 10-135 gal. If you’ve got a 100+ gallon tank, this is probably the best pound for pound wave maker available. With the ability to push a ton of water, it’s practically silent when running full blast. Constructed with an “intelligent pump”, the electric motor automatically adapts its speed to ensure it’s as efficient as possible–using approximately 50% less power than conventional pump motors. The unique 3D (360 degrees) adjustability feature on the powerheads gives you more room for creativity when directing the flow in your aquarium. It’s not as feature rich as some of the others we’ve discussed, but the controller has great functionality. Easy to use knobs let you customize flow rates and tidal movements. If you’re looking for a dead silent, reliable wave maker which can push a ton of water, but you don’t require a ton of features, consider the Tunze 6055. There’s a reason their motto is, “quality and reliability”. I have two favorites: the Tunze 6055 and the IceCap 1k. If you’re running a large aquarium, you can’t go wrong with the Tunze. The product oozes quality, and yes, you don’t get as many features as other, but it does what you need it to do, and does it very well–silently. And then with IceCap releasing the 1k, you can’t ignore this one if you’re running a nano tank. It’s so affordable and offers you some outstanding features, including the desired gyre flow.